Earlier this month, President Obama introduced the 8 Keys to Success at the Disabled American Veterans National Convention in Orlando, Fl. This is all part of Obama’s effort to support post-secondary education and help veterans transition into the classroom and succeed in the workforce. The 8 Keys to Success were developed with one goal in mind: to foster veterans’ success in the workforce through educational opportunities and support. The 8 Keys to Success are a combination of ED expert research, discussions with stakeholders (including non-profit organizations, foundations and veterans’ service organizations) and feedback from veterans who had recently completed post-secondary education themselves. The ED and VA then compared this data to best practices from existing “Vet Success on Campus” programs. “This is a major step forward in the administration’s work to encourage institutions of higher education to support veterans with access to the courses and resources they need to ensure that they graduate and get good jobs,” said U.S. Secretary of Education Arne Duncan. Implement a system to ensure all veterans receive academic, career, and financial advice before challenges become overwhelming. Coordinate and centralize campus efforts for all veterans, together with the creation of a designated space (even if limited in size). 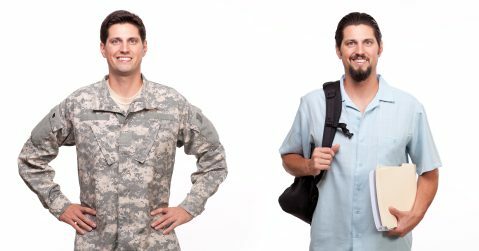 Use a uniform set of data tools to collect and track information on veterans, including demographics, retention and degree completion. These keys will help veterans successfully enter into high-growth sectors of the economy like healthcare. To date, 38 states have passed laws removing barriers to service members and veterans earning state licenses, especially in the areas of emergency medical technician, paramedics, commercial driver’s license and licensed practical nursing. We at Corexcel are proud to have partnered with the VA for several years. Together, we have helped over 400 veterans access online, self-paced courses in preparation for beginning a career in the healthcare field. Most of these veterans completed Anatomy and Physiology, Medical Terminology or ECG Courses. Many of them took the courses preparing to work in medical administration or as emergency medical technicians, paramedics and nurses. If you are a veteran interested in our online self-paced courses, you should talk with your Department of Veterans Affairs Vocational Rehabilitation and Education Counselor or your Department of Labor, Veteran’s Employment and Training Services Counselor.